a catapult-like shooting mechanism shooting toward an item carrying an infrared beacon. An infrared beacon detector indicates the robot’s opposing direction and helps targeting the item for shooting. 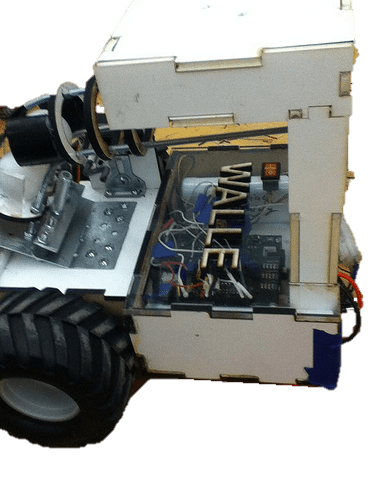 Walle uses transresistive infrared diodes and LEDs as a tape sensor. 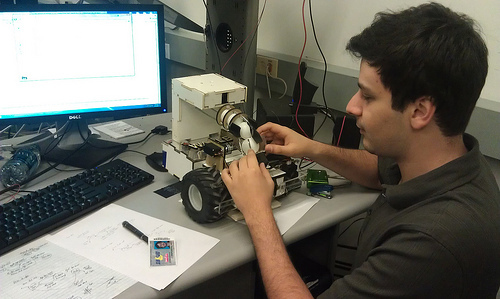 It utilizes two infrared proximity sensors and two grey-scale encoders. The beacon detector is custom built for the frequency of the beacons (20000 Hz).